Today I want to make something simple to complete nasi urap that I planned for lunch. I already have fried chicken and urap-urap (spiced coconut). All I need to do just prepare the vegetables. I checked the fridge and all I have just tofu and eggs. Not in the mood for some eggs, I decided to make something out of tofu. With 21 months old active baby, I need something that won’t take time to cook it. From all recipes that I have in mind, balado tahu seems fit with nasi urap and simple. Usually I make balado with eggs, tempe, ikan teri (dried anchovies) or egg plants. This is the first time I used tofu. 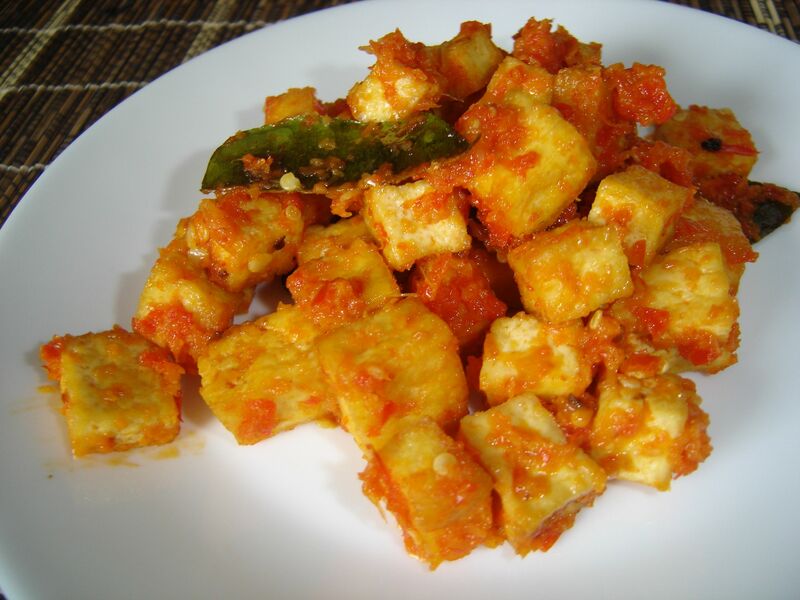 Just like any other balado dish, better to make balado tahu spicy … even spicier is better! 2. Grind or blend the spice paste, then sauté it until fragrance. Add tamarind juice, kaffir lime leaves and a bit of water. 3. Add fried tofu, mix with the sauce and continue cooking for couple of minutes. 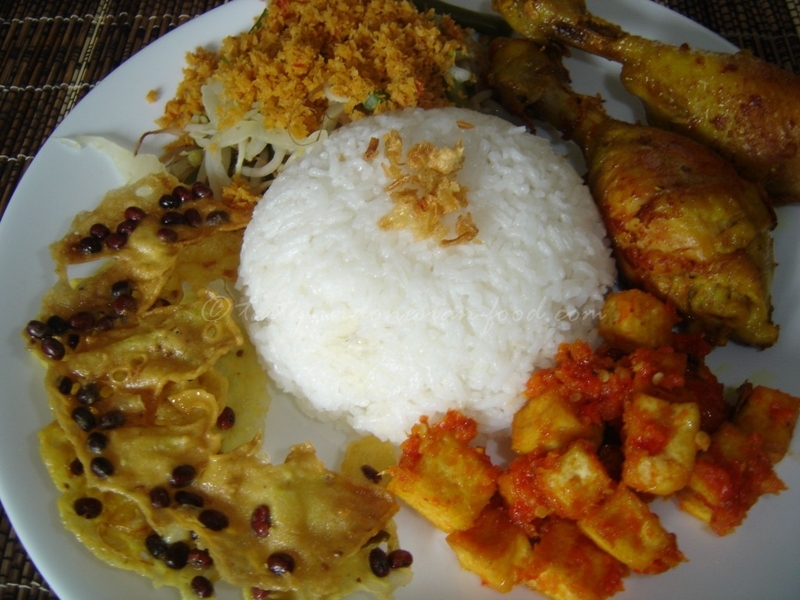 Here’s the lunch I had : Nasi urap-urap with fried chicken, balado tahu and rempeyek … super yummy! !